When the new Post Office building was built in 1977, this mural was taken down and sent to the Smithsonian. 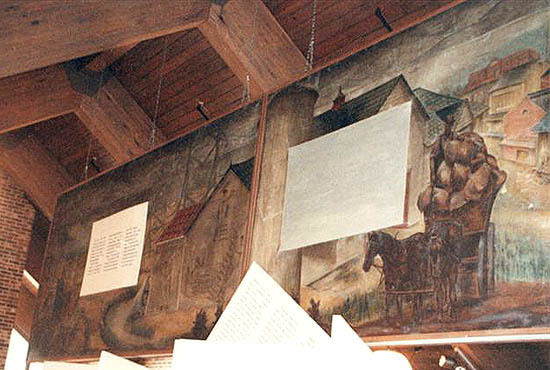 The mural was returned to Newport on November 1, 1980. The mural dimensions are 48' x 7'6". It is currently on loan to the DAR Museum, 805 Cosby Road, Newport, TN.